Thanks from the heart to Mrs Violeta Ilieva and to her team for the extremely entertaining and educational sightseeing tour around Sofia. 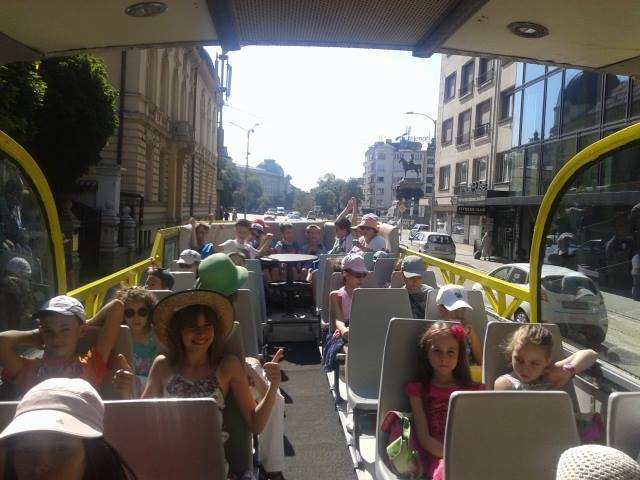 The British-Bulgarian Information and Language Center team warmly recommends CITYSIGHTSEEING for adult as well as for children’s groups due to the interactive and interesting manner of presenting the information which is appropriate for the age of the group. If you want to learn more about the historic and cultural sights of Sofia, this is the best way to do it.